I've spent a lot of my gaming life playing Final Fantasy games. They haven't really featured prominently on this site, probably because they used to be pretty restricted to consoles. 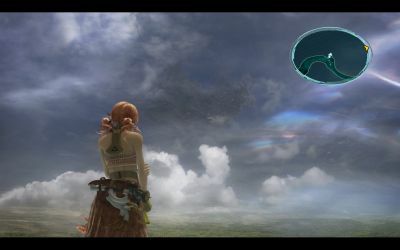 Now that nearly every Final Fantasy title can be found on Steam, I decided to replay Final Fantasy XIII, which I first played on Xbox 360 back in 2010. The thing about this game is that one could make a list of things wrong with FFXIII, often on a rather fundamental level, and yet it still comes off as one of the best games I've ever played. 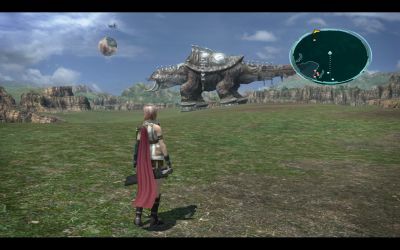 It's also a quite controversial Final Fantasy game, which is actually pretty normal for any first Final Fantasy of any new console generation: While now remembered as timeless classics, VII and X were equally divisive back in the day. 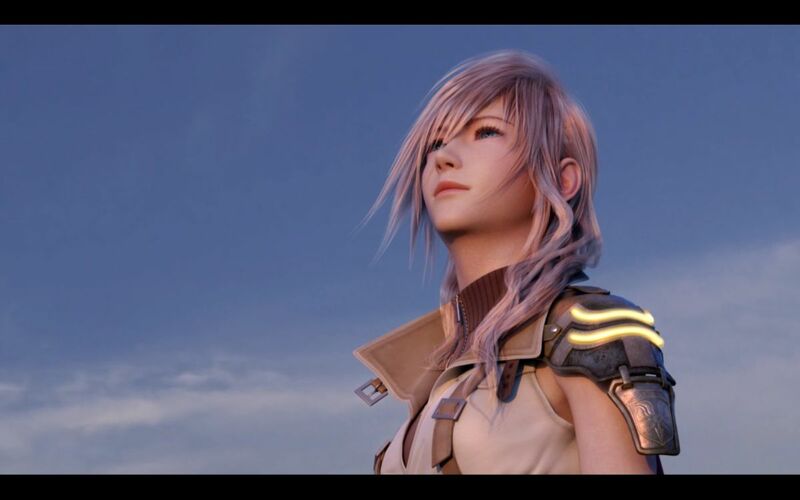 And whether the haters like it or not, XIII too will go down in history as a classic FF title, renowned mostly for its combat system and its protagonist, Claire "Lightning" Farron, arguably the most popular FF character ever. The story is often singled out as being an incoherent mess but it really is not; they saved the incoherent mess for the sequel. A lot of background information is provided through a datalog. This is not a bad way to learn about non-essential stuff that the characters but not the player would be aware of. The story itself is pretty simple: There's Pulse ("Gran Pulse"), a huge natural planet filled with feral creatures, and Cocoon, Pulse's satellite inhabited by a hi-tech human civilization that resides inside this moon. (This is probably factually wrong since Cocoon doesn't seem to orbit Pulse.) Inhabitants of both worlds are accompanied by god-like beings, the fal'Cie. While they mostly go about their ways on Pulse, inside Cocoon they provide the human population with sunlight, electricity and food but also control their lives through propaganda and occasional purges, often justified in the name of imaginary bogeymen from the world below. (In that they resemble the modern Russian state.) A lot of the general confusion surrounding the story comes from its unusual setting. Inside night-time Cocoon any "stars" you might see in the sky are in fact lights of distant cities, while the day-time sun is merely a fal'Cie called Phoenix. It can be confusing but also kinda fascinating and beautiful. Such ambiguity naturally disappears when the cast ends up exiled on Pulse. This is largely intentional: All but two of the main characters have never seen the outside world; they're just as lost as the player is supposed to be. The inhabitants of these two worlds don't get along due to a destructive war that took place many centuries ago, and apparently wiped out any human civilizations on Pulse, leaving only ruins and battle gear (some of which still appears on creatures that must be hundreds of years old) behind. Occasionally the fal'Cie, whether on Pulse or Cocoon, brand humans with their mark. The ones branded by the fal'Cie either complete their Focus, in which case they turn into crystal, or fail to complete their Focus, in which case they turn into monstrous Cie'ths. This is where the game's cast of characters comes in. For whatever reason, the six of them are branded by the Pulse fal'Cie Anima, turning them into social outcasts, enemies of Cocoon with very limited life spans. 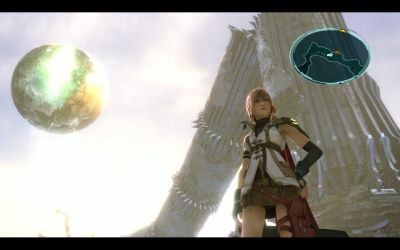 A usual complaint is that the world of XIII is devoid of direct interaction with the surrounding human world: You don't get to interact with townspeople because there simply are no towns. One article tried to make sense of this, noting that unlike in past Final Fantasy games where the main casts are often celebrated as heroes, in XIII the characters become isolated from their own world (Cocoon), having become tainted by false gods. Meanwhile, on Pulse you're just one animal among many, surrounded by nature's indifference. It does contribute to a sense of desolation (especially once you get to Oerba) but at the same time it can be a bit infuriating at times. While the main cast is rather typical with all the usual Final Fantasy clich�s from the "bro" Snow and cheery Vanille to the whiny emo Hope (at least he isn't wearing a leather jacket) and stoic leader Lightning, there's a very equal focus on all of them. In the past, Final Fantasy games were often filled with way too many auxiliary characters who barely got to do anything, who just decided to tag along after a brief and superficial introduction. In XIII each character feels equally relevant, which is refreshing especially after XII where the "main couple" felt totally irrelevant to the story. Also, for once we have a protagonist who's not overly positive (Zidane, Tidus) or plagued by constant self-confidence issues and petty identity crises (Cloud, Squall, even Zidane). In other words, unlike all those whiny male characters, Lightning has balls. 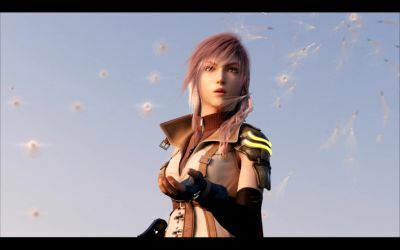 More importantly, while she's a female soldier, Lightning doesn't come off as a forced "strong" female character conceived at some SJW think tank. She's completely believable with a relatable personal quest; saving her sister from the monsters of the world. That she's totally waifu material doesn't hurt either. 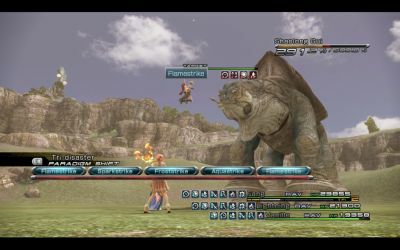 The game's battle system, the very reason for this "tutorial", has been lauded as the best in the series. This is not so hard to pull off because the combat system barely saw any significant changes over two decades with constant overreliance on boosting stats and spamming powerful spells, neither of which has anything to do with skill. 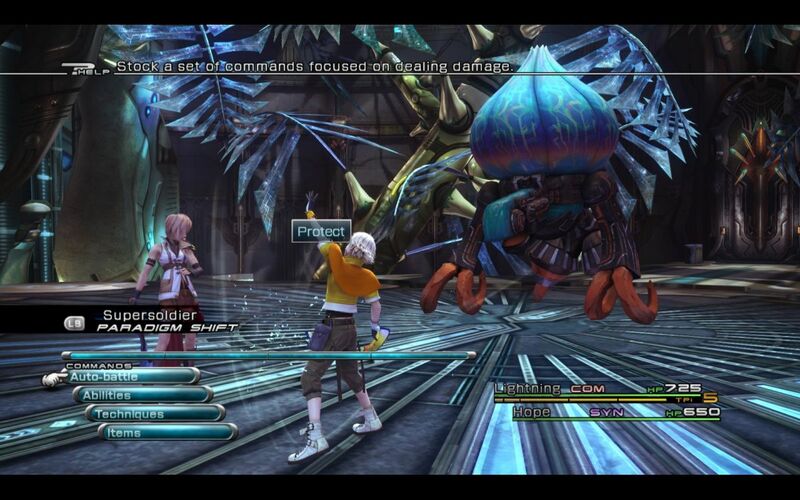 The combat system in XIII, meanwhile, is fast, fun and challenging. But it also takes some time to catch on. While the first few encounters are pushovers, boss encounters quickly turn into challenges. The trick is to use the six available roles to build the enemy's stagger meter, then attack the enemy relentlessly. It sounds simple but it's not. Many players with dozens of hours of gametime still havent grasped the system fully, and that's why they put that "20-hour tutorial" there: Anyone thrown in the middle of the vast expanses of Gran Pulse without going through this tutorial will get eaten alive. The stagger meter gets depleted if nothing is done to build and maintain it. This means there are constantly significant tradeoffs. The Ravager class can build up the stagger meter quickly but this way it also depletes fast if not periodically maintained with the Commander class. Nothing is more disappointing than being compelled to heal when you're trying to maintain or benefit from a stagger. Also, if you spend too much time trying to chip away the enemy's health inch by inch by using some lame turtling strategy, the game will simply cast Doom on you. Some have whined about getting a game over as soon as the leader (the only character you have direct control over) dies, but obviously this is a pointless complaint as the game has been balanced for this feature. 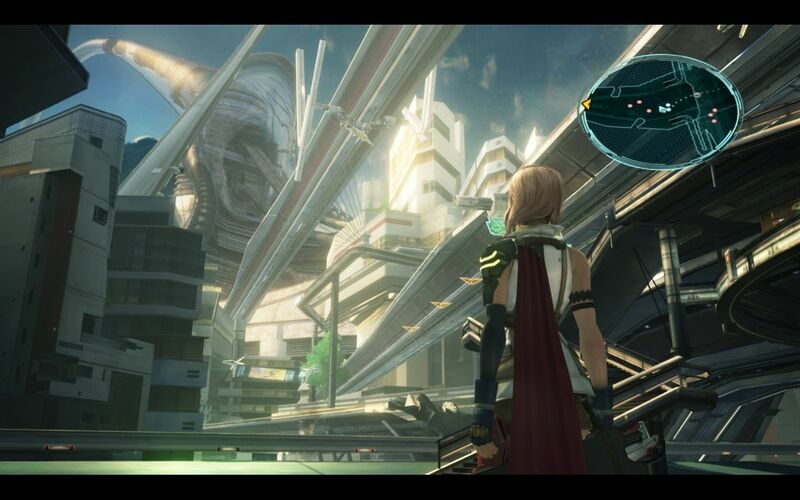 Graphics in XIII are very good. 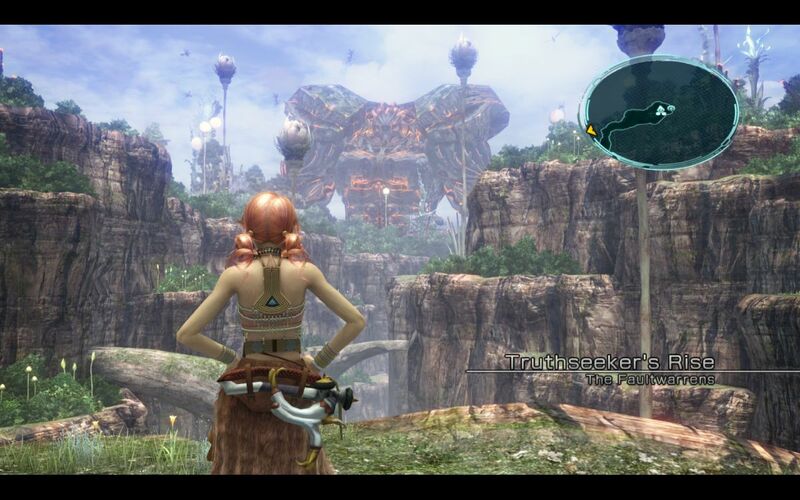 When the series transitioned from pre-rendered backgrounds (IX) to fully 3d environments (X), it was clear it had lost something in the process. This was mostly due to the texture quality of early 2000 games, which looked soft and blurry ("filtered"), not the best competition to the detailed, beautiful pre-rendered backgrounds of the PSX era games. Now such transitionary issues are long gone. 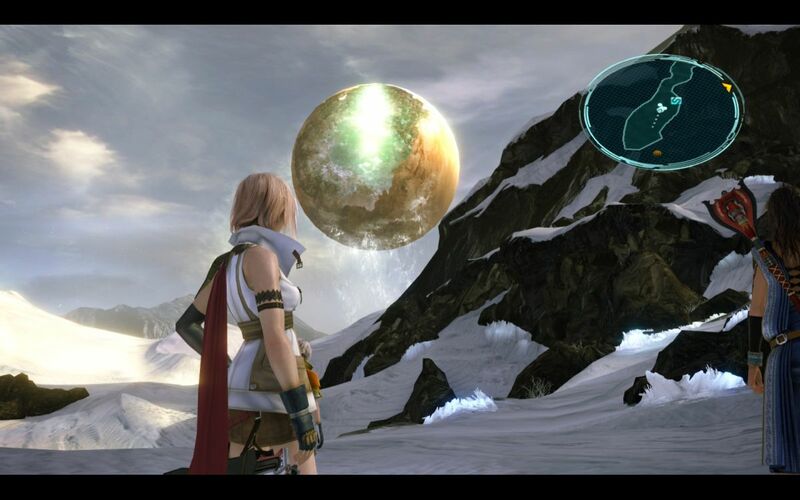 While many modern games still have muddy textures, XIII looks much more detailed. Still, many of its indoor segments look rather bland even if they are spacious. They can also be a bit too abstract in that they seem to serve no apparent purpose. The game is then quite a bit better with outdoor segments: Gran Pulse with its wide-open spaces and changing weather still looks just as stunning in 2016 as it did back in 2010. 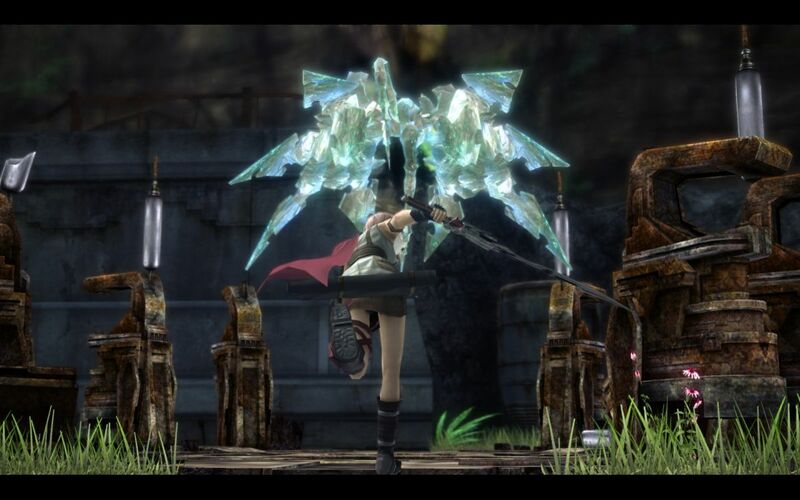 Music is good throughout and includes some gems such as Saber's Edge, the best boss theme in the series. The main theme melody might feel slightly overplayed throughout the game but it's a pretty good track. The soundtrack is of course not as good as Nobuo Uematsu's best works but then again nothing is. While the story parts are linear, Gran Pulse, either in Chapter 11 or post-game, is not. There are many places to visit and many monsters to kill. 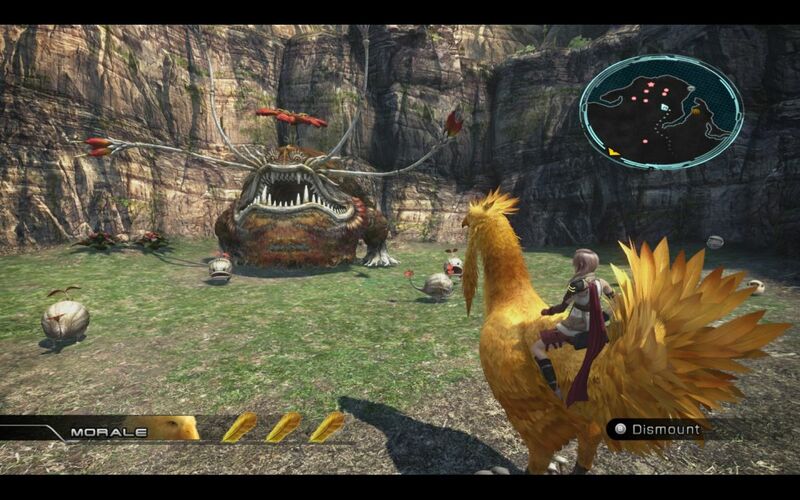 Many of the so-called "Missions" are much harder than any superboss in VII-IX. They call for actual strategies and being constantly involved. This is in complete contrast to superbosses in, say, VII where all the work takes place outside the battle, while the battle itself is merely a matter of spamming just one spell. You get achievements for various Missions, including one for finishing all of them with a 5-star rating, which is both fun and challenging. My only bigger complaint is that you can have only one Mission active at a time, which entails way more travel time than acceptable. For sure, there are "waystones" that function as teleporters, and Chocobos that enable faster travel but these are nowhere near fast enough. Monster quests aside, the rest of the post-game stuff pretty much revolves around upgrading your gear, which is something that can be quite time and resource consuming but also rewarding if you intend to challenge the strongest monsters. (It's also totally not necessary when playing the story.) 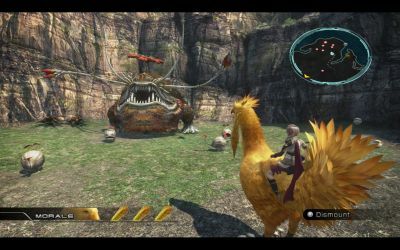 In general the optional post-game content is almost exclusively centered around upgrades and battles, but at least there's a lot of it (a full playthrough should take around 100 hours), and it's certainly "meatier" than your usual pointless sidequests. As a last note, the game's writing is rather typical anime stuff like always in this series with all the usual Asian naivety and melodrama. It's nowhere near as bad as in IV (almost every cast member gets killed at some point only to return later) or VIII (some really ridiculous plot twists) but it's still there. The only thing that really has changed throughout the series is that modern technology allows this writing to be delivered in a more cinematic fashion, but deep down it's still the same stuff. 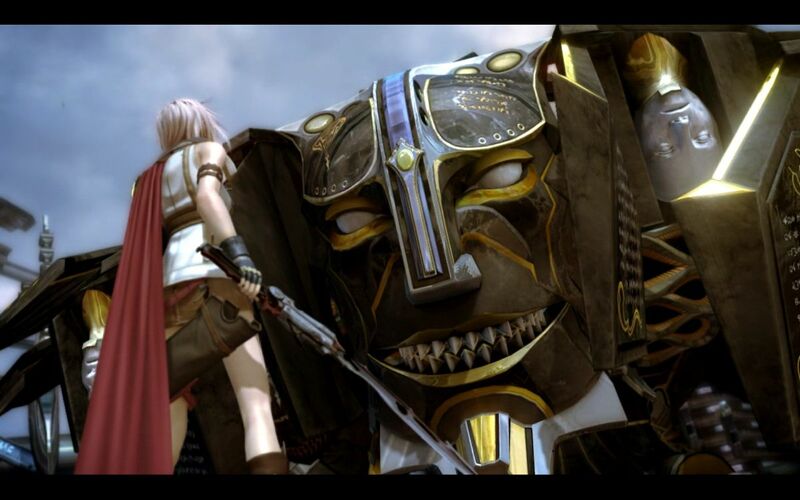 This isn't really criticism because FFXIII simply wouldn't be a Final Fantasy game without the occasionally silly writing: You could argue that this sort of anime writing has always been a big part of the franchise's charm. The ending is typical Final Fantasy; epic and emotional. Not getting even a little bit teary-eyed over it is a certain sign of psychopathy. Conclusion: Despite an undeniably slow start, Final Fantasy III slowly but surely emerges as one of the best games in the series, owing mostly to its strong cast of characters, its graphics and, most of all, its battle system. 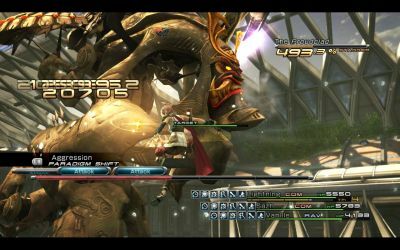 While past Final Fantasy titles were marked by small variations in battle mechanics, XIII took a bit step in going for a more skill and speed based system, a fact that becomes most apparent in its boss fights and particularly in its highly challenging and fun post-game Missions. Final Fantasy XIII has issues, lots of them in fact, most notably the lack of interaction, but unlike Final Fantasy VIII, another flawed FF title, XIII's strongest points easily outshine its flaws.